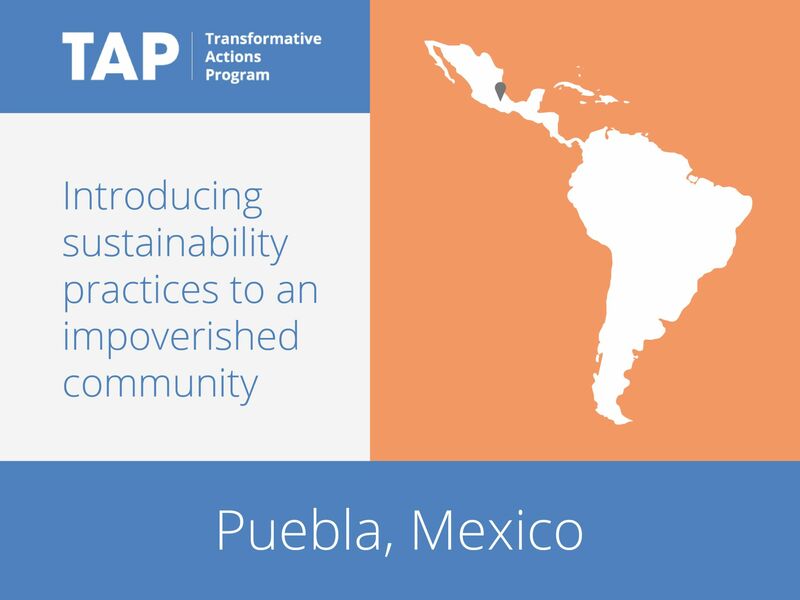 In the underserved San Andres de Azumiatla community a number of sustainability initiatives are being implemented. With the participation of the private sector, the council and the community are implementing solar cells, biodigesters, community gardens, sustainable buildings and rainwater collection. Together, these projects will meet the basic needs of the people and will ensure that resources are used in a sustainable manner, increasing social equity and quality of life.